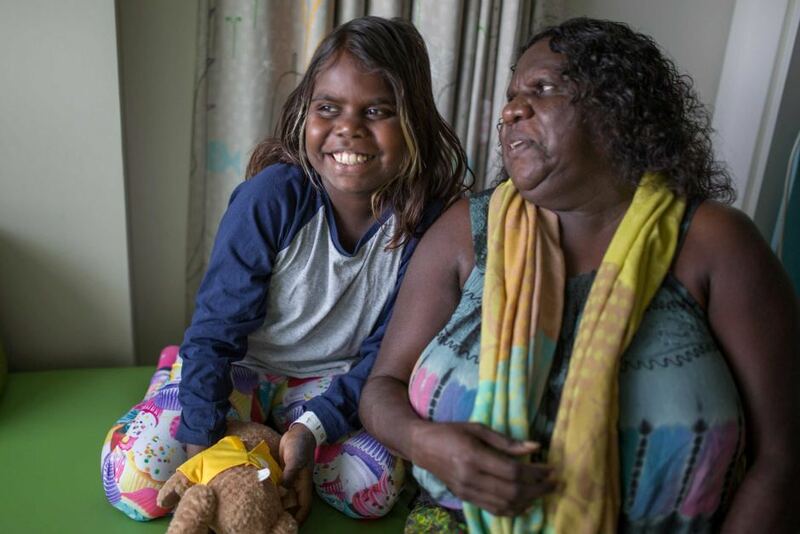 Aboriginal girl Zahara Hargraves and her grandmother have made a huge trip to the other side of the country, in the hope that surgery will give the nine-year-old girl a better life. Her potentially fatal heart disease began with a sore throat. Zahara Hargraves is a long way from home. 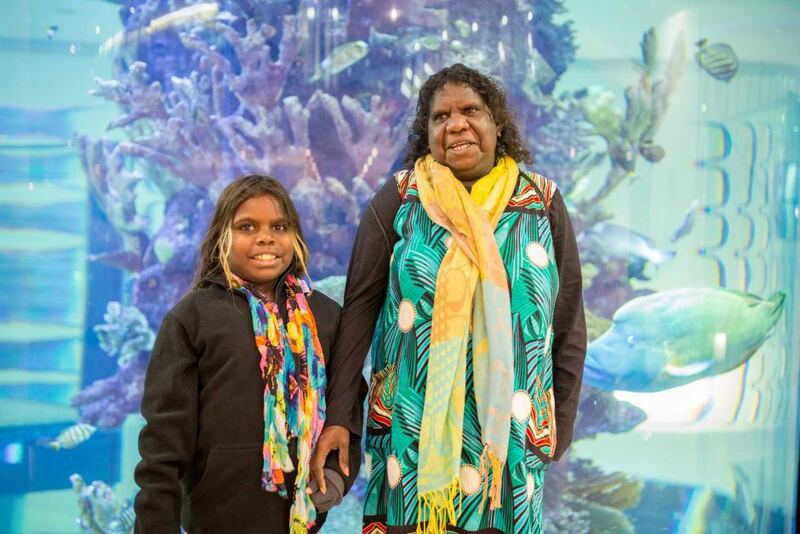 But the foyer of Royal Children’s Hospital in Melbourne reminds her of fishing in her remote community, Numbulwar — eight hours east of Darwin in the Gulf of Carpentaria. Accompanied by her 49-year-old grandmother, she’s been flown across the country for life-changing surgery. “She wasn’t scared, she was excited. That was her first time on a big plane,” Lily Ngalmi-Hargraves says about her granddaughter. Zahara has advanced rheumatic heart disease. It started with a simple sore throat and then a fever. 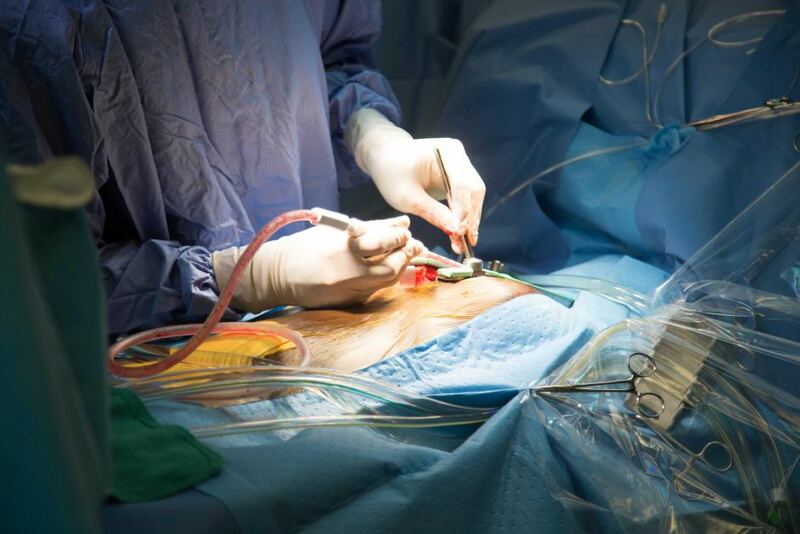 The untreated illness damaged two of her heart valves. 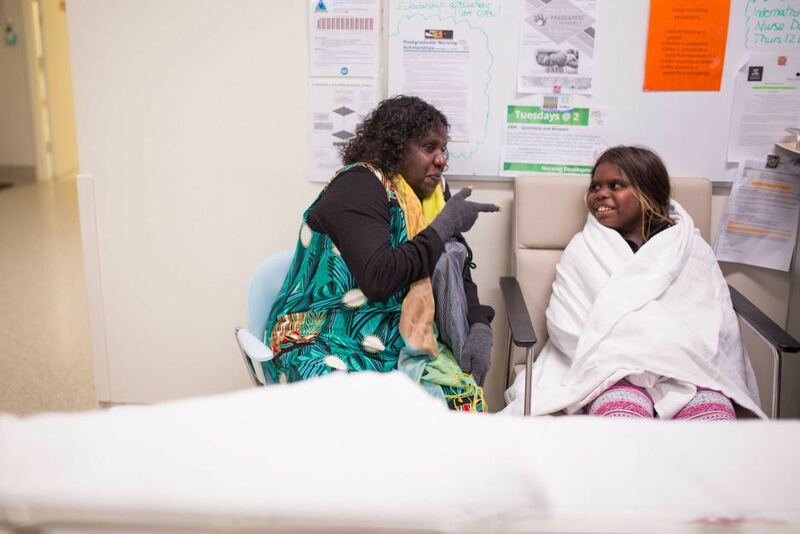 “She was living in Katherine with her mum and that’s where she got really sick,” Lily says. Now she has to go in for open-heart surgery to have the valves repaired, and prevent her heart from failing. Lily hopes the operation will mean her granddaughter will have a better future. “It’s a very big day for me and her,” she says. “I’m a bit frightened, but I need to get the little girl, get a new life. 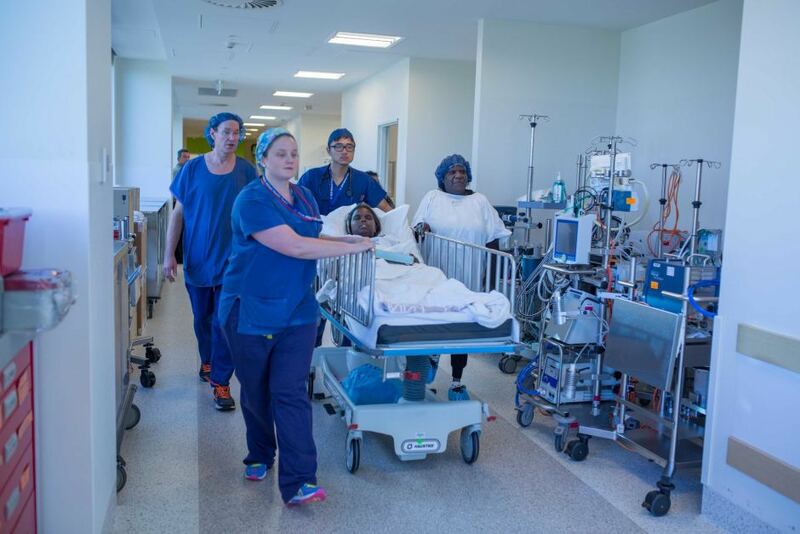 This is one of 21 rheumatic heart disease-related surgeries performed at the Royal Children’s Hospital’s cardiac surgery unit over the past three years. Zahara’s surgeon, Associate Professor Christian Brizard, says it will give her the ability to be an active child again. “She has a significant or severe mitral regurgitation between the low pressure chamber on the left side of the heart and the high pressure chamber on the left side of the heart,” he says. “So that mitral valve is leaking, and if not treated it will leak more, and the heart will progressively enlarge more and more. Rheumatic heart disease affects more than 30 million people worldwide. In Australia, it affects mostly Indigenous people. The Royal Children’s Hospital’s infectious diseases unit physician, Associate Professor Andrew Steer, says the disease is 100 per cent preventable. “It occurs 80 times more commonly in Indigenous people, than in non-Indigenous people,” he says. Just over a week after her operation, Zahara is on the road to recovery. And she’s ready to go back to the Northern Territory. “She’s good, but she’s still sore and she misses the Top End. 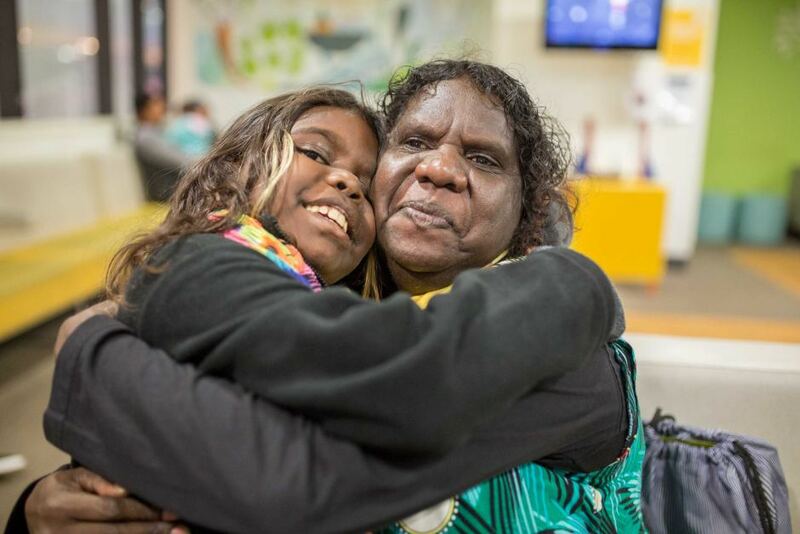 We both miss the Top End,” Lily says. But before they head home, Zahara receives a special visit. AFL players Mark Baguley and Courtenay Dempsey from the Essendon Bombers, Zahara’s favourite team, have come bearing ‘get well’ gifts. Photo: The Essendon players gave Zahara a guernsey with her name specially printed on the back. Thanks to Helen Walsh of Royal Children’s Hospital Melbourne for working with the Take Heart team to coordinate this story.